Amla is very rich source of vitamin C and fibre. It is good for our health especially in winter. 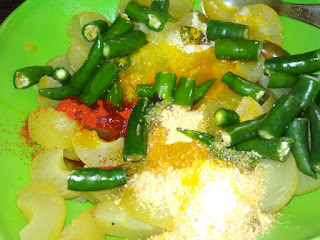 Today I am going to share amla and green chilli ka achar. Amla and green chilli Ka Achar is a very yummy recipe and this pickle is very easy to make. 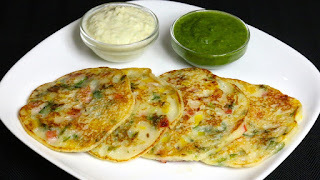 You can serve any type of stuff paratha and plain paratha also. 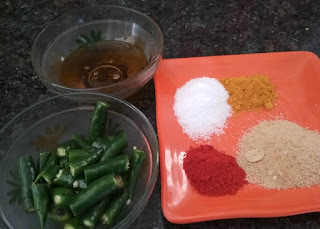 This pickle is very good combination and make delicious your paratha. 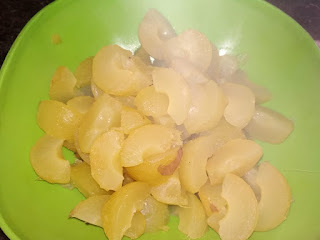 Boil the gooseberries or Amla for 4-5 min. 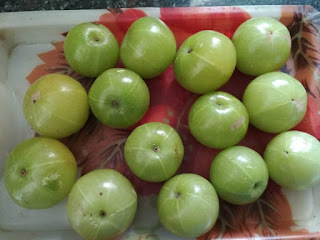 Drain out Amla the water. Break the Amla in pieces and take out Amla seeds. 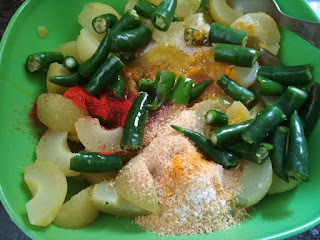 Take green chilli wash and cut in to the pieces in half inches. Take a bowl add boil Amla and salt, mustard seeds powder, red chilli powder,green chill, hing and mustard oil. 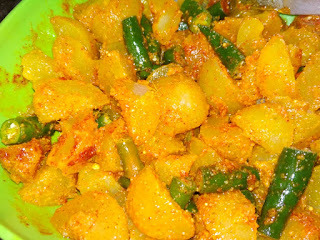 Your pickle is ready for eat on same day. You can store this pickle over year. Serve your Amla pickle any type of stuff paratha or plain paratha. Breakfast during weekends is should be different than other days breakfast. If there is something delicious set on the table, the holiday starts off on a better note. So lets prepare Sattu ki Kachori for breakfast this weekend. 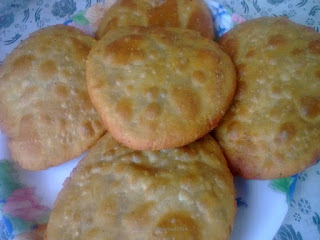 Sattu Ki Kachori is very easy to make and it is very delicious. 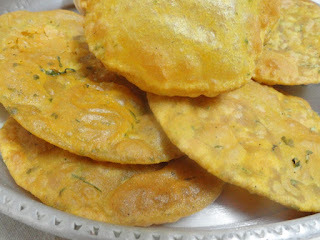 Sattu ki Kachori- stuffed with Sattu can be stored up to 4-5 days. 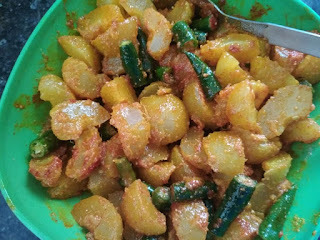 If you want consume same day you can add onion also. Mixed aloo puri is very popular dish of north India. Mixed aloo puri is easy to make and can serve with aam ka achar or any type of pickle. 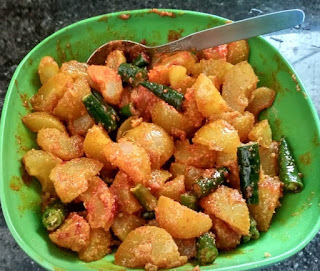 This is also suitable for lunch box in your kids.